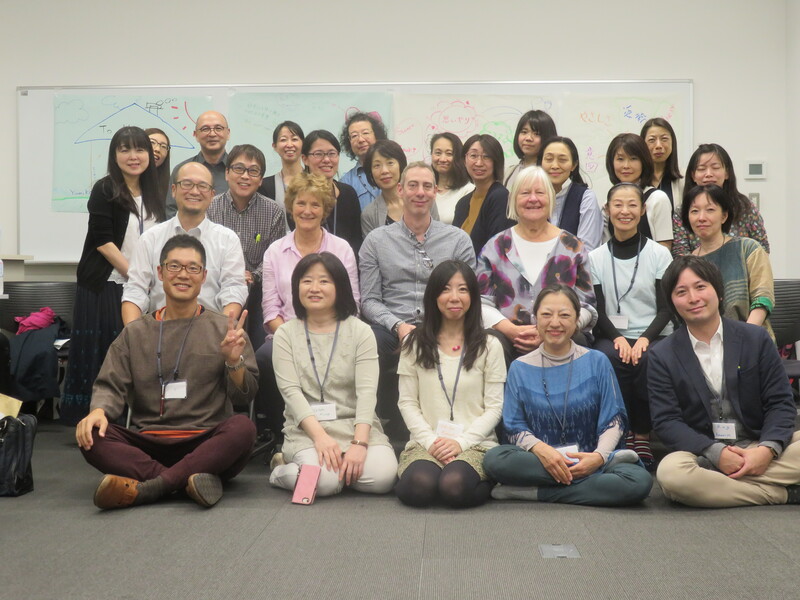 Tetsuji Ietsugu, Ikuko Yamaguchi, and Fusako Koshikawa report on the recent Module 1 and Module 4 training delivered by the OMC in Japan. As in many other countries, many people in Japan are interested in MBCT. The Japanese Association of Mindfulness (JAM) was founded in 2013 (president: Fusako Koshikawa), and an annual convention has been held every year since then. In 2016 Mark Williams came to Japan and conducted workshops building a great foundation for the dissemination of MBCT. In 2017 Willem Kuyken and Ee Lin Ong came to Japan to teach training module 1 & 2, which were a great success. 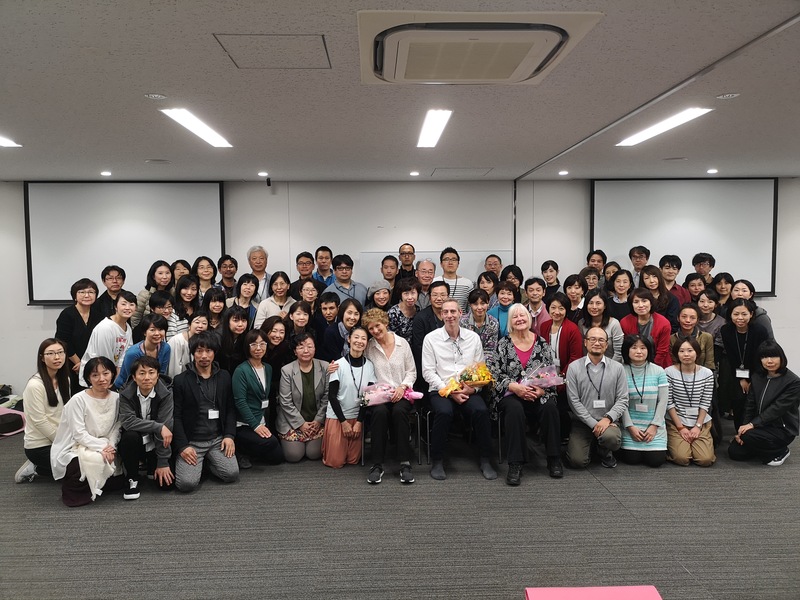 In October 2018, Module 4 and Module 1 were taught at Waseda University, Tokyo by Melanie Fennel, Tim Sweeney, and Alison Yiangou. The twenty Module 4 participants (most of them were clinical psychologists) were divided into two groups, practising MBCT teaching in turn, giving feedback to each other and receiving favorable advice from trainers. Every participant improved their teaching technique and embodied mindfulness. In the last session the participants broke into four groups to draw a picture on the theme of “What am I taking away?” All participants reaffirmed what they had learned and went away with renewed enthusiasm for teaching MBCT. We are sure there will be many excellent new MBCT teachers in Japan in the near future. 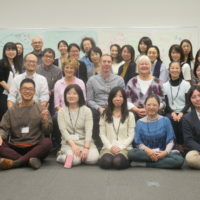 Although many books about MBCT have been published in Japan, there are relatively few opportunities to attend eight week MBCT courses, especially for professionals. Many of the eighty participants on Module 1 were experiencing MBCT for the first time and most expressed a wish to continue to learn to teach MBCT in their own fields. Having the three excellent trainers from the OMC here was a great opportunity and has made a big impact on the dissemination of MBCT in Japan.